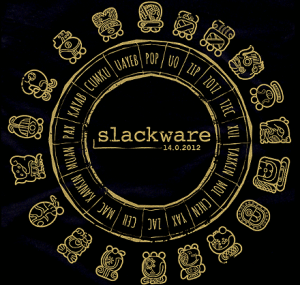 Today’s update to the Slackware-current ChangeLog.txt comes with a large piece of communication by Pat Volkerding. A new kernel, a start of UEFI boot support in the Slackware installer, and new glibc packages are the most important changes mentioned in the post. If Pat had a blog this would definitely be a proper “blog post” considering its size. A recommended read for followers of the Slackware development effort. Oh wow! This is good news! It’s a shame ATI is so far behind upstream Linux development, I will have to hold back this update for about 12 months, until the next two versions of Catalyst are released, as the latest xorg-server breaks the Catalyst driver.